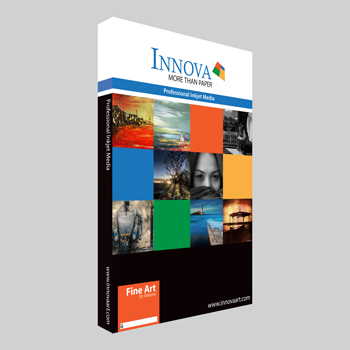 The Innova Fine Art Collection offers the artist an avenue to express creativity and beauty in the output by providing a wide range of papers, so you can match the artwork to the paper texture and weight. The original art papers have been coated to provide consistent colour reproduction and gamut while maintaining the look and feel that artists expect from our papers. Each material has been specifically developed to produce or reproduce the work, highlighting the creativity the artist originally envisioned. Watercolour, etchings, pastel, acrylic and a wide variety of other traditional techniques can be accurately reproduced as giclees, limited edition prints, restorations, display copies or original output. As this is a wide range of applications, we manufacture a range of papers single side coated. Textures range from rough to smooth in natural white and warm base colours. 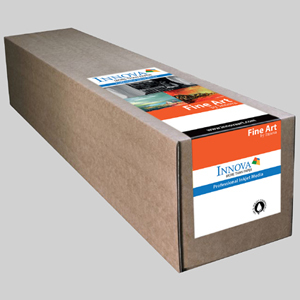 Cotton canvas and archive grade boards are available, to add further choice to the wide variety of applications that inkjet printing provides. 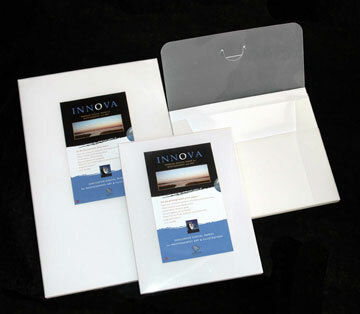 The Innova papers offer materials that produce classic images and timeless beauty with each print. The Art Line is available for wide format printing in roll sizes of 24 - 60" and cut sheet sizes up to A2, and with the smaller sizes up to A3+ being suitable for small format desktop printers.